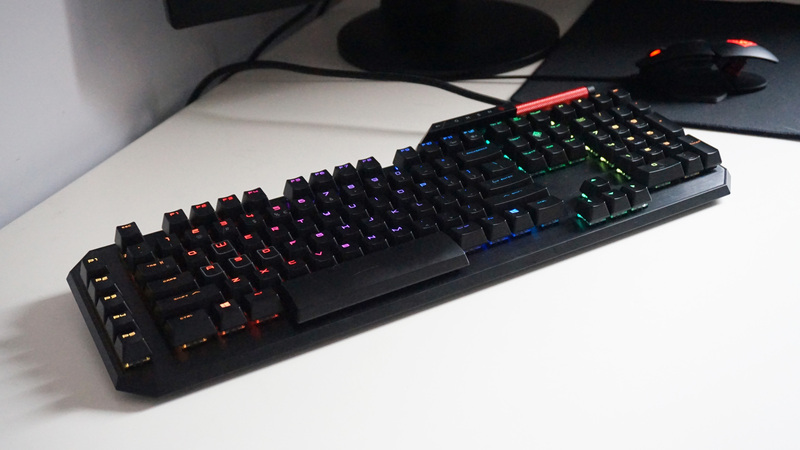 HP Omen seem to be going all in on optical mechanical peripherals this year, as they?ve not only gone and stuck a bunch of light beams in their Omen Reactor gaming mouse, but their new Omen Sequencer keyboard is absolutely chock full of them. The idea is to give both of them lightning fast response times, as the lack of moving parts means that each device?s respective switches can reset a lot quicker than their fully mechanical counterparts. Next Next post: Top 5 Tuesday – October 2018 Topics!